Lestercast; a UK based investment casting solutions company, had made the decision about five years back to invest in additive manufacturing solutions with Tri-Tech 3D. The company specialises in producing a wide range of investment castings in both a prototype or production format using either their UK based manufacturing site or Chinese partner foundry. They serve a wide range of industries in the industrial and commercial sectors including automotive, rail, motorsport, oil and gas, architectural, valves and pumps, marine and medical. Lestercast first explored the possibility of using 3D print technology as a viable method of producing low cost prototypes. When using traditional manufacturing processes to create prototypes, Lestercast originally encountered a number of drawbacks from having to retool the production line each time they created a new part, to resetting the assembly process. This made the prototyping life cycle drawn out and costly as well as making it difficult to create multiple design iterations. In addition, as with any CNC machine, the machine set up allows very little margin for error and results need to be precise and consistent. 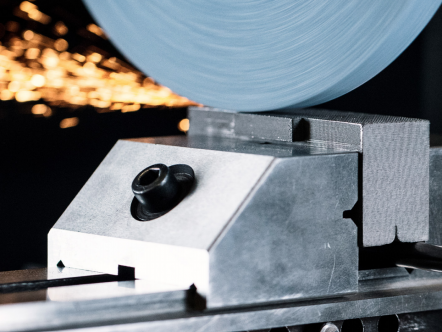 Whilst Lestercast work with an experienced team of sub-contract machinists, any minor set up error could result in a high amount of material wastage, lost time and increased cost. Lestercast also work with CMM machines on a frequent basis as a way of verifying new work, and also to monitor continuous production items as part of a SPC procedure. 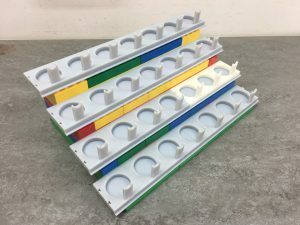 This process requires the use of custom fixturing and nesting blocks, both of which are highly expensive and time consuming to create using traditional manufacturing processes. 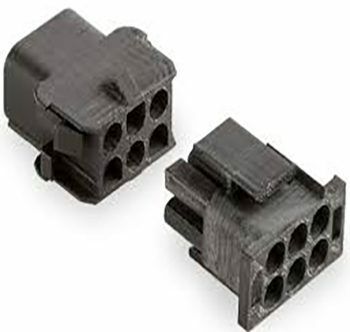 Whilst Lestercast initially invested in Ultimaker technology, the use of harsh clamps on the material meant that parts weren’t able to stand up to the forces applied. The Objet30 Pro had a high-quality print window and ideal build size for the applications Lesercast would use it for, alongside a selection of robust materials that are ideal for the stresses and strains the tooling would come under. Parts created on the machine needed to be able to stand up to the forces involved, which lead Lestercast to choose to use the Vero range of materials. 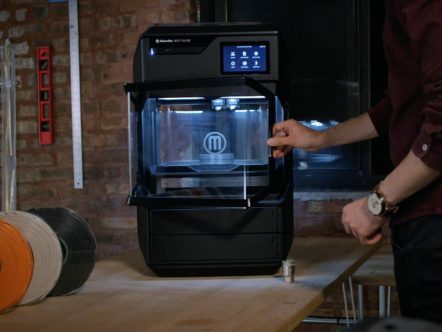 The Stratasys Vero material includes a range of multi-colour, multi-purpose photopolymers that offer strength, stiffness and versatility, enabling users to create smooth accurate parts with varying hardness, flexibility, translucency or heat resistance. 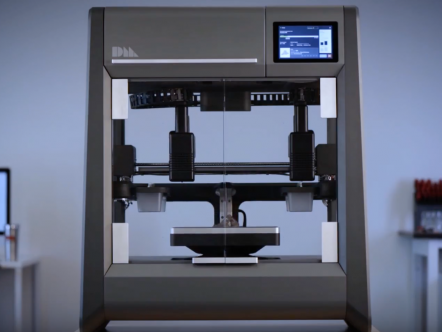 Whilst Lestercast originally invested in the Objet30 Pro for rapid prototyping, they soon found that the machine was highly useful in a number of other areas within the company. The most predominant use of the Objet30 Pro is to print scale models for the many different sub-contract machinists that Lestercast use. A good robust cured material, coupled with an accuracy of 40 microns provides the machinists with a highly accurate way of creating their setup programme which can then be transferred over to a supplied raw casting. Much of the measurement work carried out at Lestercast uses a fully automated CMM machine that requires the use of nesting blocks and fixtures to support the parts. 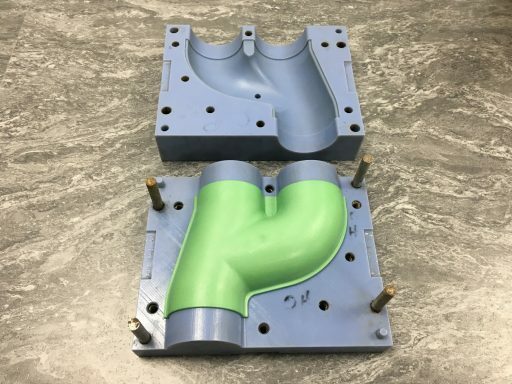 Lestercast are now creating these parts on the Objet30 Pro, enabling them to produce complex free form shapes for holding fixtures used in the part marking procedure, as well as spot welding. The printer also provides a reliable method of investigating and producing inspection gauging prior to manufacturing in Steel and Aluminium. Lestercast also use the Objet30 Pro as a sub-contract service to provide the client with a scale model. The scale model is used for either the clients own project or in some cases it is presented to an end-user. In this particular application, the Objet30 Pro provides a high level of accuracy as well as rigidity and strength, making it an ideal option for use within a wide range of sectors. In a recent follow up with Lestercast after having used the technology for a couple of years, Lestercast have reported a number of benefits from using the Objet30 Pro. 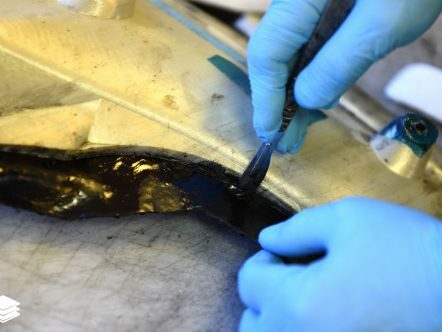 Due to the durability of the Vero material, Lestercast are now able to use the fixturing many hundreds of times over before having to replace the parts with fresh prints. This has meant significant time savings for the company as they are able to reuse parts, meaning less material usage and reduced costs. 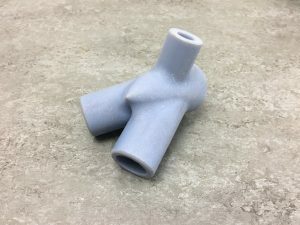 Overall, Lestercast have noticed significant improvements in the outcome of their manufacturing processes since implementing the Stratasys PolyJet 3D print technology. By utilising the Objet30 Pro alongside traditional manufacturing methods, the company have been able to reduce overall cost and timeframe of a given project. Tri-Tech 3D hope to continue to work with Lestercast in the years to come through providing service contracts, technical support and expert advice within their additive manufacturing processes.